We're working to fix this. D: Sorry about that! As long as you're not up to any cheating shenanigans, you can play in multiple windows and go about your Neopian business while waiting for wheels to turn. We're not that cruel! The question the above person asked, or the question the person below did. 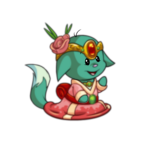 It would be considered a "newborn" Neopet and begin at zero hours old. /jawdrop *_* Man, there are some of us here that wish we'd invested in that, too! We don't manually control the Stock Market, so... yeah, wow. Guess we'll just wait and see what happens. Neopets are the intellectual property of Neopets.com, so unfortunately artists can't legally sell artwork derived from our intellectual property. Hahaha, no. Don't worry. If the shop owner did nothing wrong, then they wouldn't get a warning. People report shops for... the most amusing reasons quite often. We sometimes open up shop reports for the bigger shops and laugh and laugh at the absolutely bizarre claims, ranging from "too expensive" to claims like they stole their real life puppy. It's just... weird. Yes, the Site Spotlight is no longer running, due to lack of submissions. D: You don't like our puns? Unfortunately (for you), we have more like an army of staff that just loves puns (and alliteration, too, it seems). No, side accounts are for housing extra Neopets, displaying Galleries, storage, etc. They are not to be used for playing games or doing dailies, even if you only do it on one of your accounts a day. Chombies, Grarrls, and Pteris are already native species to Tyrannia, which is why there's currently no paint brush to make them "more" Tyrannian. RAWR! I'm now a super dinosau- erm, Tyranniansaur!